Momma on a Mission: Thank you, GAPS!!! I've been on the GAPS diet for about 8 weeks now, and boy oh boy have I seen some results!!! I'm very excited about how I'm progressing. I'm still doing full GAPS- I haven't done the intro yet or added in any supplements. I do have some fermented cod liver oil on the way, and I'm planning on ordering some probiotics in the next day or two, so hopefully adding those two things will only help accelerate the healing!!! One awesome change that I've seen is that my seasonal allergies have all but disappeared!!! I've had awful allergies since my teens. I couldn't even really call them seasonal because they bothered me year round. Springtime was the absolute worst though! Months at a time would go by without me being able to breathe through my nose at all. It sucked, but after so many years it was just a normal part of life for me. I'm so, so thrilled to report that I haven't struggled at all with my allergies this year- even with spring approaching(and basically in full swing here in south Texas- we've hit 90 degrees already). I'm breathing through my nose! 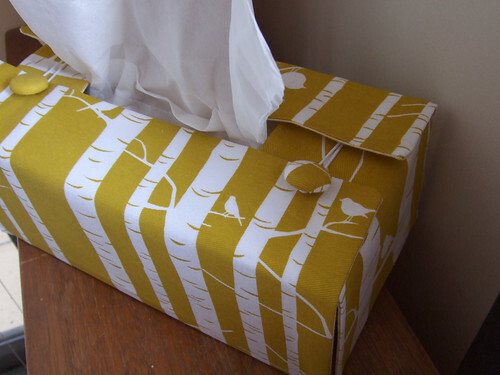 I don't have to carry kleenex around with me wherever I go! I don't have to keep toilet paper(for blowing my nose) in every room of the house! So awesome! I wish I'd had a tissue box this cute! One of my biggest reasons that I started GAPS was to try to get a handle on my hormones/PMS/anxiety. It's been something I've dealt with for years, and it's really been a thorn in my side. A couple of years ago, I was so depressed that I could barely function. I was on the edge of being suicidal on my worst days. Now that I know what I know about GAPS, I realize that I was literally poisoning myself with my diet, and that my gut disfunction was having a direct impact on my mental health. (GAPS stands for Gut And Psychology Syndrome- my gut was messed up and it was effecting me psychologically, big time!) My lowest point was just before I cut gluten out of my diet. Not only did I have a leaky gut, but I was feeding my leaky gut something that I was extremely allergic to! No wonder I felt so horrible!!! I started taking a quality fish oil(Norwegian gold critical omega- I highly recommend them) and exercising, and that made enough of a difference so that I was able to function on most days. But when that time of the month rolled around? All bets were off. Seriously off. I literally felt like a crazy person whenever my hormones would start going nuts. I would get panicky. I would think horrible thoughts about myself and others. The slightest irritation would seem huge to me- things like music too loud, the kids touching me, or even anything out of place(OCD?) would be enough to almost send me over the edge. I felt like I had no control over myself. I tried really, really hard to control the way that I was feeling, and to not lash out, but it was almost impossible. Sometimes I'd just erupt- even as I was trying not to. I hated it. My family hated it too. It was like something was taking over my mind and body, and each time I couldn't wait for it to be over so I could get back to being me again. Not only did I deal with that before my period started, but I dealt with it before I ovulated too. Twice a cycle I'd become a crazy person with little control over myself. It'd last for 3 or 4 days, with the last day being the worst. On top of all that, I'd had 40 day cycles for several years- 10 or 11 days longer than a normal, healthy cycle. This January's cycle was unforgettable. On January 1st I cut out sugar completely. I wasn't expecting that change to dramatically shorten my cycle, but it did. So when I started getting those horrible PMS symptoms, I didn't realize what was going on. I thought I was just having a really bad couple of days. On the third day or so, I was having a really crummy day, and DH said something to me that he shouldn't have. (To his credit, it wasn't nearly as bad as my reaction.) I fell apart. I got in the shower and sobbed. I had super powerful thoughts of hurting myself. I spent half an hour in the shower trying to silence those thoughts and regain composure. I was so scared. I hadn't felt or thought that way in over a year, and I had no idea what was going on. I eventually got control of myself, and DH apologized, which helped me to feel a bit better. (I was too scared and emberassed to even tell him what had happened.) Even though the worst was past, the range of emotion I had felt was so huge that I felt like I had been hit by a truck, even the next morning. When my cycle started that evening, I was shocked! I hadn't had a 29 day cycle in about 7 years. That was my last cycle before I started GAPS. My first cycle on GAPS was a bit better than that, but still pretty awful. But the second one? Big difference. First of all, I barely even noticed when I ovulated, vs. the crazy hormonal mess that ovulation used to throw at me. Three days before my period, I started to feel a little emotional. I teared up near the end of a killer Crossfit workout. I was a little irritable. Nothing too bad. The next day, I was fine. 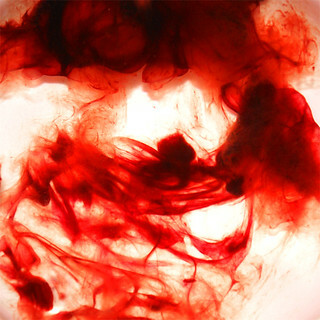 The third day, the day before my period started, things got a little worse. (This would normally be the worst day for me, the day where in January I totally lost it.) I definitely felt hormonal, irritable, and a little anxious. But I was able to keep it under control!!! It took effort, quite a bit of effort. With just about every thought, I had to consiously remind myself to calm down, that this was just PMS, and I could make it through. I'll be honest, I did yell a couple of times. But before I would have yelled, and kept yelling, and wouldn't have been able to make myself stop. But I was able to make myself stop this time, and calm down almost instantly. It was definitely still a struggle, but one I can handle! I'm hoping that things continue to improve the longer that I'm on GAPS, but even if they don't, I've at least got something I know I can handle now!!! That's a huge deal. And another 29 day cycle! I've had 40 day cycles for almost 7 years now. Isn't that amazing- that after just a couple of weeks of dietary change, my cycles changed from 40 days to 29 days??? I've known that diet can make a difference in your health. But to see it with my own eyes, in my own body, and in such a dramatic way, is just amazing!!! Thank you, GAPS!!! Write, that is amazing! I'm very happy for you. GAPS is an amazing program.